3D printing to improve... boats performance? 3D printing to improve… boats performance? Among all the things 3D printing can improve, today, we are going to tell you about electric boats and ships. Additive manufacturing is more and more used in the shipbuilding industry. 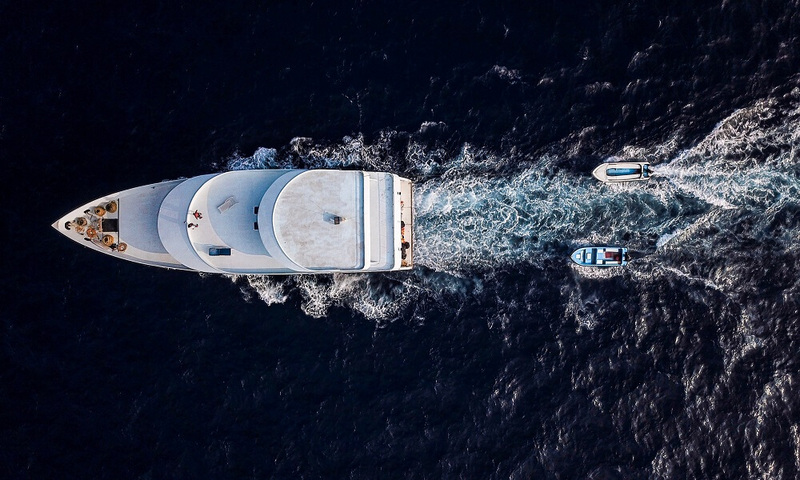 Naval Group and Centrale Nantes developed a project to improve boats performance, making the most of 3D printing technology. Let’s see more in detail how digital manufacturing can help to improve boat performances. All aboard! 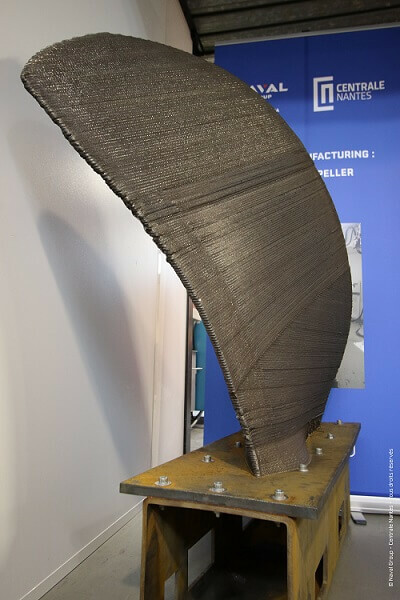 Naval Group and Centrale Nantes started this 3D printed blade system for the Horizon 2020 (H2020) project, RAMSSES (Realization and Demonstration of Advanced Material Solutions for Sustainable and Efficient Ships). The idea of this program is to show the benefits of advanced materials to find new solutions for shipbuilding. The main goal was to improve the projection of the vessel. Using 3D printing allowed to 3D print really large parts, like a propeller of 6 meters diameter and 300 kg, which was impossible to do with a traditional manufacturing technique. They first 3D printed a one-third scale hollow blade demonstrator in stainless steel using the WAAM technology, or Wire Arc for Additive Manufacturing technology. How does this WAAM process work? A robotic welding arm uses an electric arc plasma beam on metal wire feedstock to fabricate 3D objects. It is also possible to print on an existing surface using this additive manufacturing technology. The printing process took less than one hundred hours. Additive manufacturing technologies are more and more used in the shipbuilding sectors. 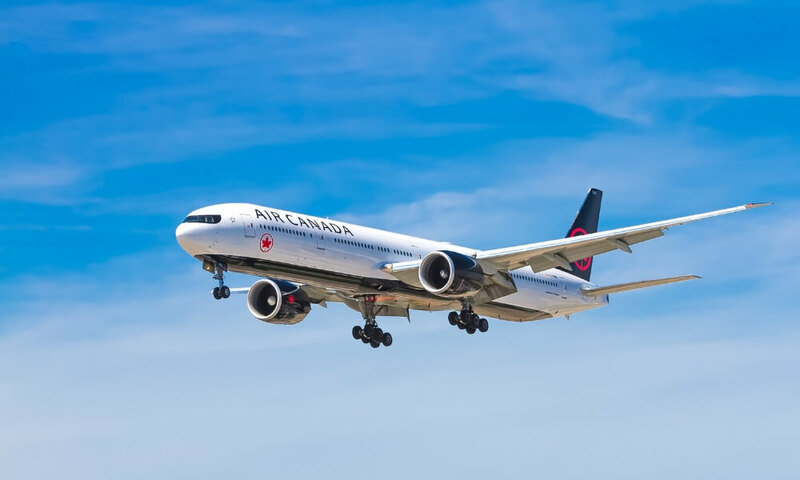 We can especially see the growing use of metal 3D printing in sectors such as naval engineering, aeronautics or aerospace. A growing interest in XL 3D printing? During the last years, we can see a significant growing interest in XL 3D printing and XL 3D printers… Printer manufacturers are releasing more and more machines able to print larger volumes. This use of XL 3D printers is particularly visible in the architecture sector: 3D printing at an architectural scale gives life to outstanding architectural projects, impossible to make using traditional manufacturing techniques. Some structures can be printed directly on-place, in one part and in no time, using impressive printers with robotic arms. To learn more about is, don’t hesitate to read our blog post about contour crafting! Want to start making the most of metal 3D printing? Using metal 3D printing could totally help you with you shipbuilding or aeronautics projects. Selective Laser Melting (SLM) or Direct Metal Laser Sintering (DMLS) technologies are available on our online 3D printing service and might be the manufacturing techniques you are looking for. Do you need to print aluminium, titanium or stainless steel? Get your instant quote on our website or contact our sales team to see how we could help you with your project. 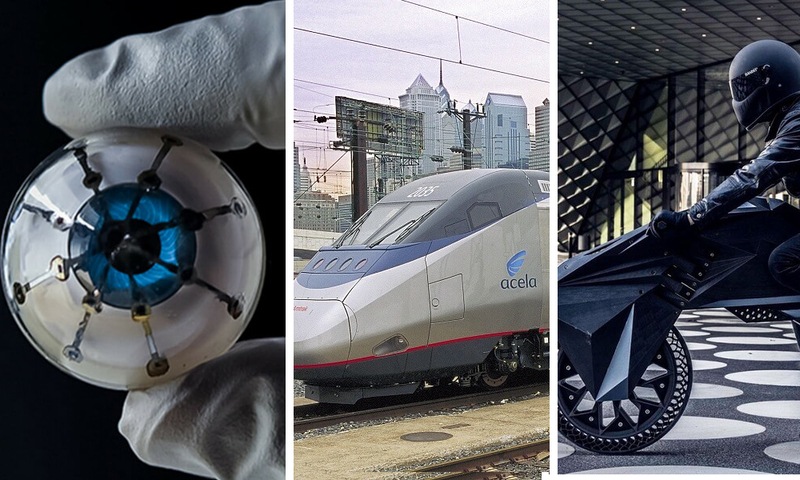 Additive manufacturing is still evolving quite quickly, all its benefits are now visible in different sectors, optimizing the way we build houses or boats but also improving the product itself… The future of 3D printing seems to be more and more promising every day. Subscribe to our newsletter to get all the latest 3D printing info. 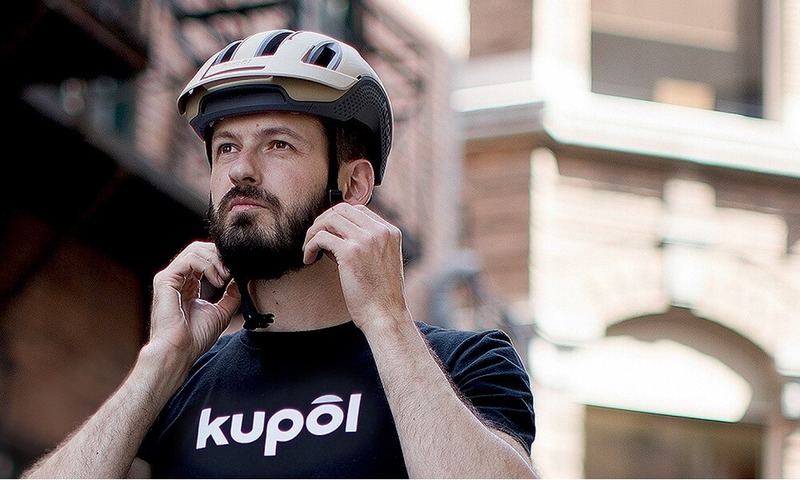 The world’s first 3D printed bike helmet by Kupol!